In today’s digital landscape, photo and video are the two main driving forces behind modern marketing practices. No matter how good the copy is, supplemental photos and video will always have a huge role to play. Many business owners believe they can cut costs by doing their own photography, either by investing in a nice DSLR camera or just using the HD cameras that come equipped with every smartphone. Unfortunately, this might not always be the best idea for their businesses. 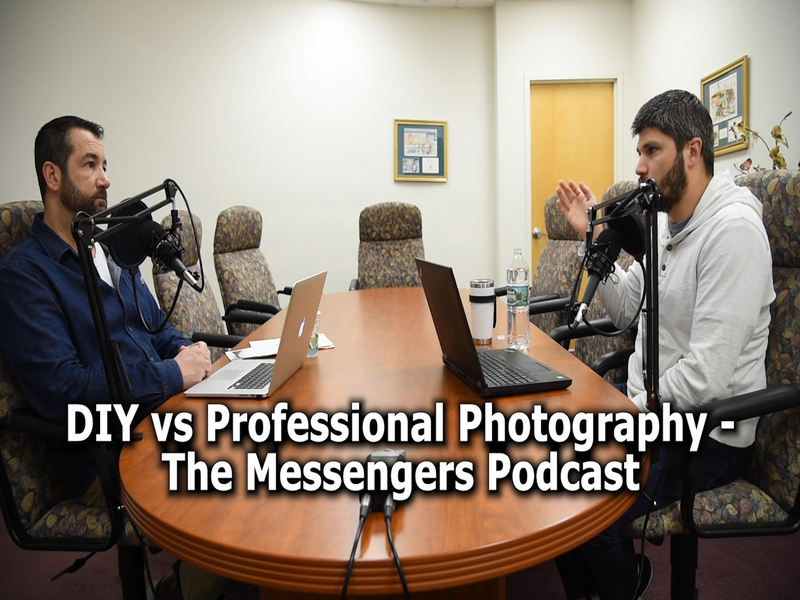 In this episode of The Messengers podcast, Chris Searles and Rob Seifert discuss whether a business should do their photography internally or hire a professional in regards to the many types of specialized photo professionals that are currently out there. While anybody can take a decent photo with the automatic settings on an expensive DSLR camera, a pro could likely get a better shot with a stock iPhone camera. It’s up to you to decide whether the increase in quality will offset the costs. The hosts go over different scenarios where a business might consider hiring a professional photographer and what pros can do that an amateur with a nice camera might never have thought of when planning their shots.